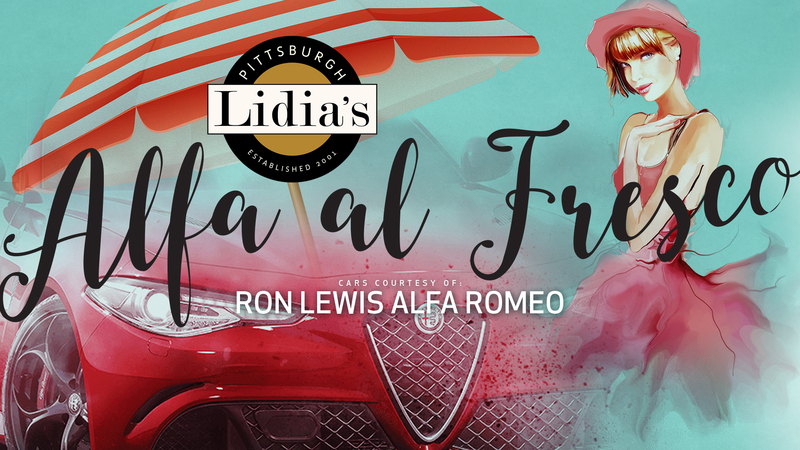 Lidia’s Pittsburgh and Ron Lewis Alfa Romeo invite guests to transport themselves to the streets of Italy with Alfa al Fresco. On August 10th from 5:00 PM - 9:00 PM, the duo will shut down 15th Street between Smallman and Penn Avenue for a can't miss event of the summer! Indulge in an evening of cuisine and refreshments from Lidia’s Pittsburgh, test drives of the 2018 Stelvio and Giulia from Alfa Romeo, and live tunes from DJ SMI.